In stock -This product will ship today if ordered within the next 5 hours and 2 minutes. 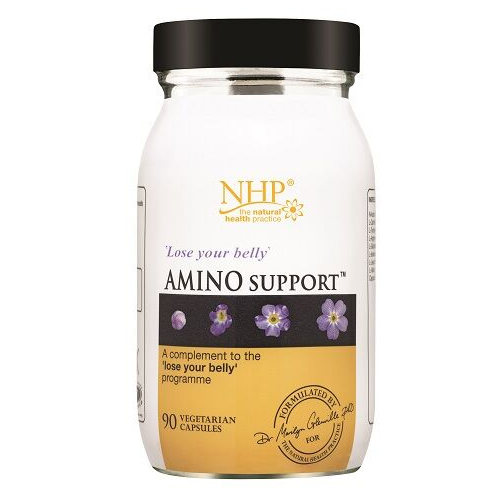 Natural Health Practice Amino Support from the Natural Health Practice are in easy to swallow capsules and are a special blend of eight specific amino acids which help reduce fat from around your waist. There are twenty five amino acids in all; eight are called essential because they must be obtained from food, unlike the other seventeen which can be made by your body, by converting the essential ones. Amino acids are the building blocks of protein which are important as they contributes to the maintenance of muscle mass which helps burn off fat. Carnitine is involved in promoting energy production and tyrosine plays an important part in the functioning of the thyroid gland. For best results take three capsules daily, in between meals. 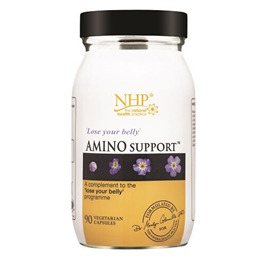 Below are reviews of Natural Health Practice Amino Acid - 90 Vegicaps by bodykind customers. If you have tried this product we'd love to hear what you think so please leave a review.